Emailing and engaging with potential customers is a lot like dating; you don’t want to be too pushy or eager, but you don’t want to be too distant either. How do you strike the right balance to build a meaningful relationship with your customers? 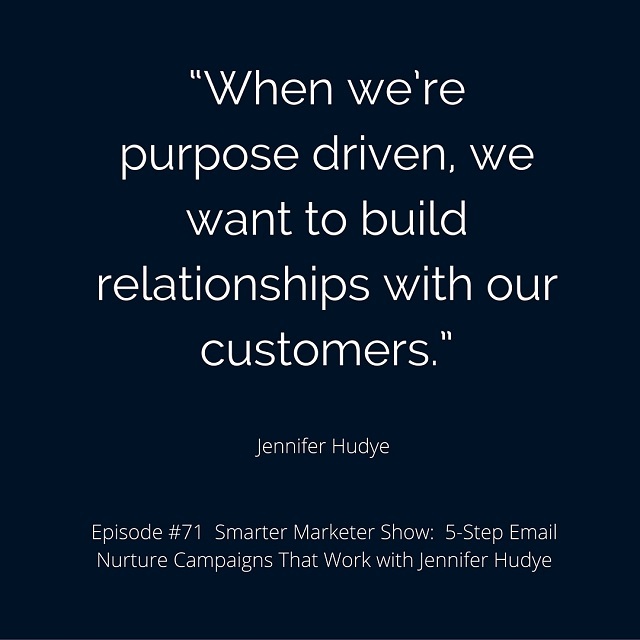 Today, I’m talking to Jennifer Hudye, who – in addition to being the founder of LifeBalance Coach, a wellness coaching company – is an expert when it comes to nurture emails. She’s going to walk us step by step through her winning formula to building lasting, mutually beneficial relationships with customers one email at a time.